Tom..........I fixed the links for you. The cheapest route to a AMC 6 barrel intake is the Indy Mod Man. Or you have to go custom and custom isnt cheap. I think if you send Hogan a performer or other cheap intake they can build off the base and save you some money. Has been a few years since I spoke with them about it. 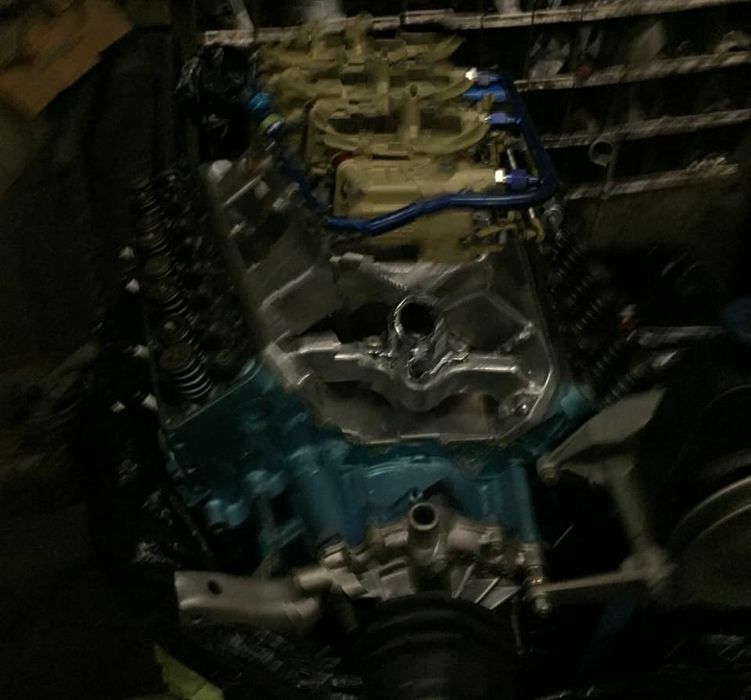 I see $3500 cross rams so $4000 for custom built intake.....designed for your exact motor.....doesnt seem that ridiculous to me. Is that a Hogan intake? ^If yes I bet it goes as good as it looks! I think if you send Hogan a performer or other cheap intake they can build off the base and save you some money. Has been a few years since I spoke with them about it. I would bet real money that a properly designed Hogan 3x2 intake would outperform an original Crossram as well! so retaining resale value would be the only sure place I can see a Crossram beating a custom 3x2 intake in the future. I actually priced a hogan one just like the car craft piece is about 3000 not 4000. with a flat top its about 2500. I have a TRACO 2-4Bbl AMC manifold that I'm hoping to put on a 390-68 AMX. I assume these manifolds were meant for Carter/Edelbrock carburetors. Is this right?? Also, there is a threaded hole in the back about where the Heater Control Valve would normally be. Is this used for some sort of Crankcase Ventilation?? I have photos but can't figure out how to paste. On other forum that is pretty defunct now there was a guy who went by the name HILLBILLYBOB. He had a TRACO 2x4 intake on his AMX road racer. Does yours have a removable top? 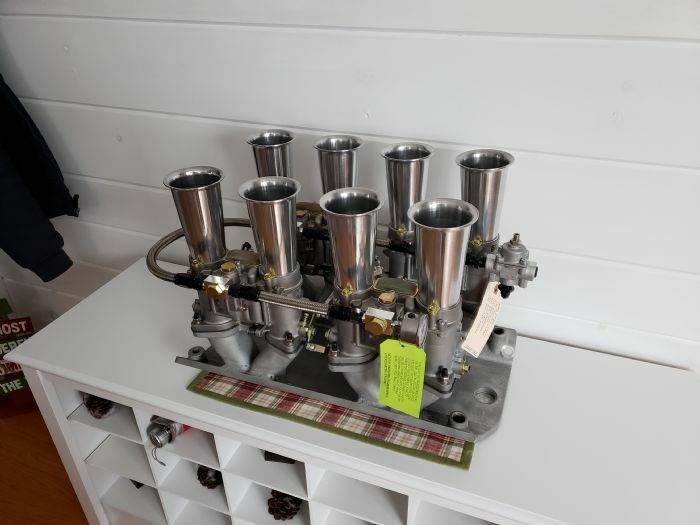 Back in the day, there was a company called Man-A-Fre that made a manifold using four Rochester two barrels in a staggered arrangement, with one caarb directly over each pair of intake ports. I can't recall if they ever made anything for AMC's or not. Check out this site also on the Bill Kraft Rambler fitted with four two barrels.